We own and operate our large snow moving fleet. 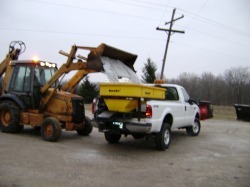 We provide snow removal, salt/sanding and hauling. home or condo association ice free.